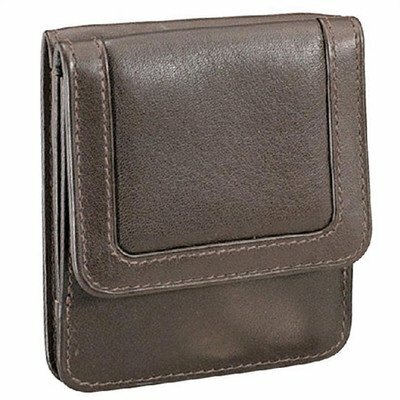 6431 Brown Color: Brown Features: -Coin and card pocket with snap closure. -Currency pocket with snap closure. -Constructed of cowhide nappa leather. Product Type: -Wallet. Gender: -Men's. Material: -Leather. Color: -Black. Color: -Red. Color: -Blue. Color: -Green. Generic Dimensions: -Overall dimensions: 3.4'' H x 4'' W. Dimensions: Overall Height - Top to Bottom: -3.375 Inches. Folded Width - Side to Side: -4 Inches. 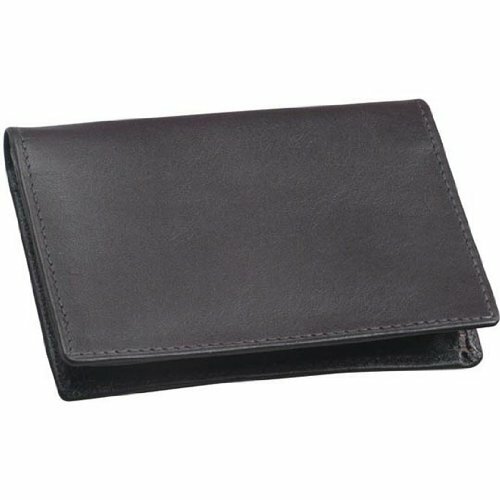 6431 Black Color: Black Features: -Coin and card pocket with snap closure. -Currency pocket with snap closure. -Constructed of cowhide nappa leather. Product Type: -Wallet. Gender: -Men's. Material: -Leather. Color: -Black. Color: -Red. Color: -Blue. Color: -Green. Generic Dimensions: -Overall dimensions: 3.4'' H x 4'' W. Dimensions: Overall Height - Top to Bottom: -3.375 Inches. Folded Width - Side to Side: -4 Inches. 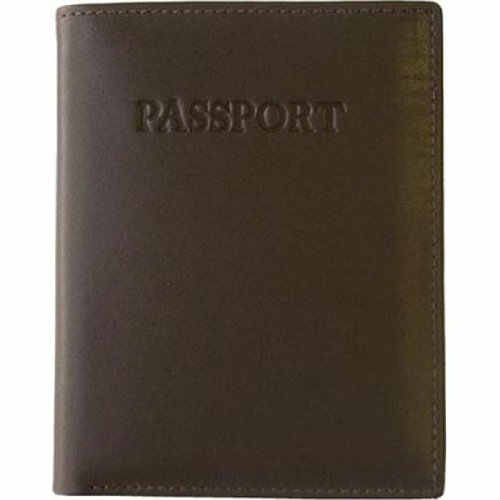 6494R Brown Color: Brown Features: -Divided currency compartment. -Six credit card slots. -Leather lined. -ID window pocket. Product Type: -Tri-Fold. Gender: -Men's. Material: -Leather. Color: -Black. Color: -Brown. Generic Dimensions: -Overall dimensions: 4.4'' H x 3.5'' W. Dimensions: Overall Height - Top to Bottom: -4.375 Inches. Folded Width - Side to Side: -3.5 Inches. 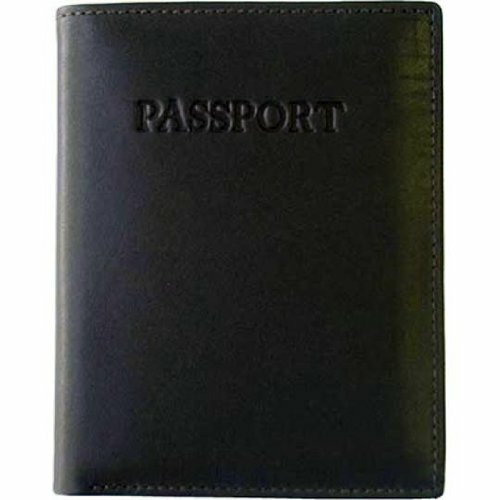 6481W Black Color: Black Features: -Two fold card case with open back pocket. -ID Window. -Flat pocket. -Business card pocket with gusset. 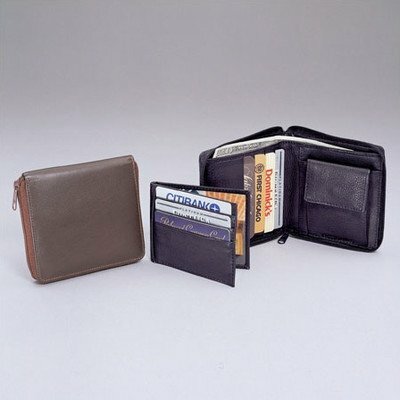 Product Type: -Billfold / Bi-Fold. Gender: -Men's. Material: -Leather. Color: -Black. Color: -Brown. Generic Dimensions: -Overall dimensions: 3'' H x 4'' W. Dimensions: Overall Height - Top to Bottom: -3 Inches. Folded Width - Side to Side: -4 Inches. 6499R Black Color: Black, Trim: No US Emblem Features: -Divided deep currency pockets. -With or without US Emblem on cover. -Leather lined. -Baggage claim pocket. Color: -Brown. Material: -Plastic/Leather. Dimensions: Overall Height - Top to Bottom: -5.5 Inches. Overall Width - Side to Side: -4.25 Inches. Overall Depth - Front to Back: -0.75 Inches. Overall Product Weight: -0.375 Pounds. 6499R Brown Color: Brown, Trim: No US Emblem Features: -Divided deep currency pockets. -With or without US Emblem on cover. -Leather lined. -Baggage claim pocket. Color: -Brown. Material: -Plastic/Leather. Dimensions: Overall Height - Top to Bottom: -5.5 Inches. Overall Width - Side to Side: -4.25 Inches. Overall Depth - Front to Back: -0.75 Inches. Overall Product Weight: -0.375 Pounds. 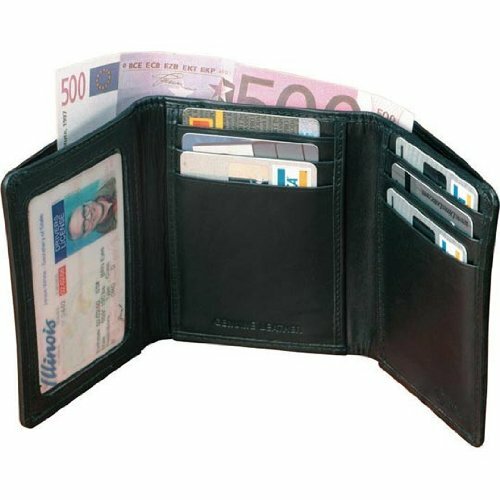 6494R Black Color: Black Features: -Divided currency compartment. -Six credit card slots. -Leather lined. 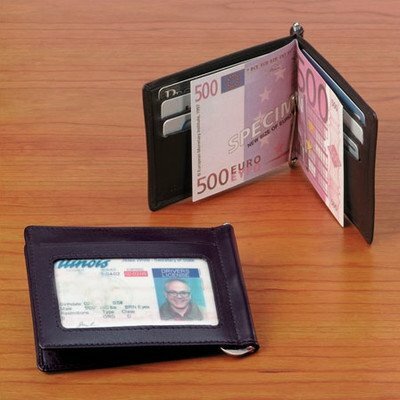 -ID window pocket. Product Type: -Tri-Fold. Gender: -Men's. Material: -Leather. Color: -Black. Color: -Brown. Generic Dimensions: -Overall dimensions: 4.4'' H x 3.5'' W. Dimensions: Overall Height - Top to Bottom: -4.375 Inches. Folded Width - Side to Side: -3.5 Inches. 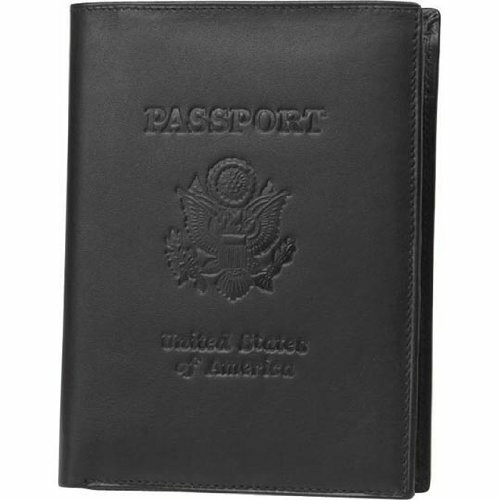 6499L Black Color: Black, Trim: US Emblem Features: -Divided deep currency pockets. -With or without US Emblem on cover. -Leather lined. -Baggage claim pocket. Color: -Brown. Material: -Plastic/Leather. Dimensions: Overall Height - Top to Bottom: -5.5 Inches. Overall Width - Side to Side: -4.25 Inches. Overall Depth - Front to Back: -0.75 Inches. Overall Product Weight: -0.375 Pounds. 6499L Brown Color: Brown, Trim: US Emblem Features: -Divided deep currency pockets. -With or without US Emblem on cover. -Leather lined. -Baggage claim pocket. Color: -Brown. Material: -Plastic/Leather. Dimensions: Overall Height - Top to Bottom: -5.5 Inches. Overall Width - Side to Side: -4.25 Inches. Overall Depth - Front to Back: -0.75 Inches. Overall Product Weight: -0.375 Pounds. Compare prices on Drum Dyed Nappa Leather Wallet at LiveSaler.com – use promo codes and coupons for best offers and deals. We work hard to get you amazing deals and collect all avail hot offers online and represent it in one place for the customers. Now our visitors can leverage benefits of big brands and heavy discounts available for that day and for famous brands. We try to makes comparison shopping easy with Product Reviews, Merchant Ratings, Deal Alerts & Coupons. Find Deals, Compare Prices, Read Reviews & Save Money.